Dow Jones (-0.96%), S&P 500 (-1.17%) and NASDAQ (-1.26%). Oil reserves released to boost growth with price curbs. 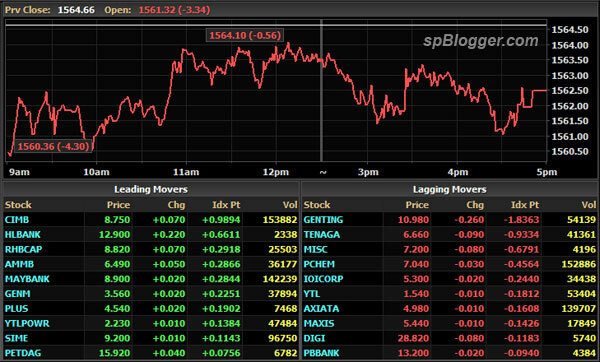 FBM KLCI dropped 2.14 points to 1,562.52. Most Asia markets dropped.